The worst offender of the delinquent water accounts and overdue bills is the City of Detroit, in particular the parks. Palmer Park alone has an outstanding bill of $422,295.40. Many of the residential properties with outstanding bills are abandoned homes that haven’t been lived in for many years. The fire hydrant pictured flowed for a full 6 days even while 4 separate nearby employees made 5 different calls to report it to the Detroit Water and Sewage Department (DWSD). The hydrant was not shut off until a tweet was sent to the Mayor with the estimated water wasted = 1.5 million gallons (if PSI = 1). The week before a hydrant behind Detroit Receiving flowed for a full 7 days before getting shut off. 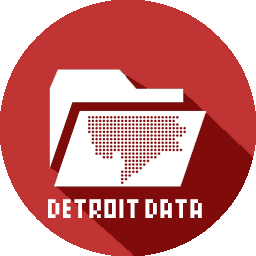 Water bills in Detroit are twice the national average of $40 and the City Council approved a 8.7% bill hike just last month along with controversial plans to privatize DWSD. 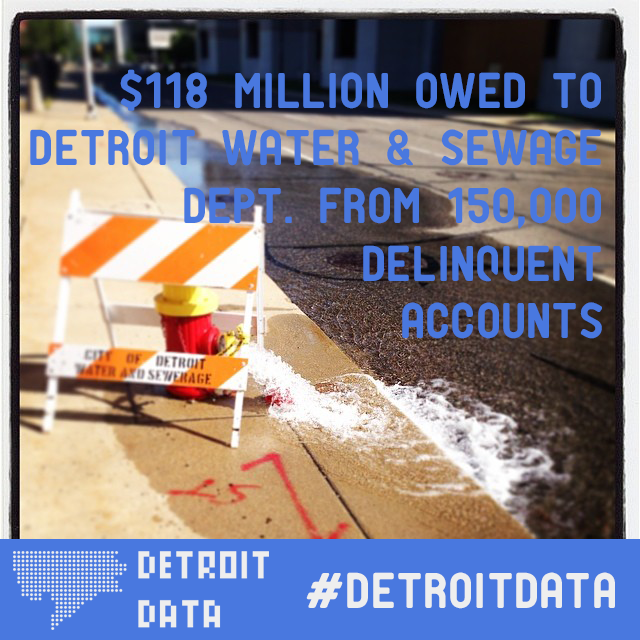 For many Detroit residents already struggling to make ends meet, this is another burden when a delinquent water bill might represent 20% of their income. “Disconnections due to non-payment are only permissible if it can be shown that the resident is able to pay but is not paying. In other words, when there is genuine inability to pay, human rights simply forbids disconnections,” said Catarina de Albuquerque, the expert on the human right to water and sanitation. My hope is that Mayor Duggan will take a lesson from Mayor Frank Murphy who, during the Great Depression, chose to feed the hungry and turn empty factories into boarding houses for the poor. Balancing the books doesn’t have to come at the expense of Detroit residents already facing economic difficulty. Pingback: Water Affordability vs Equitability | Broadview Collaborative, Inc.